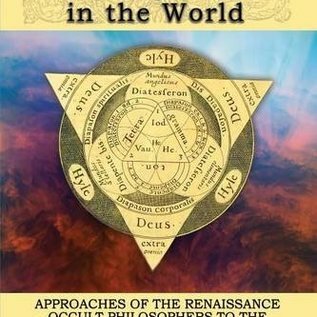 The world of the Renaissance occult philosophers was ultimately composed of two substances, one spiritual and the other material. It was understood that all things in the universe, whether corporeal or angelic, existed through a combination of both. However, occult studies were principally directed toward communion with and understanding of God, while research tended to focus on the spiritual dimension of the subject. Matter was as integral to the universe as spiritual forces. The majority of the substance within human beings and in the corporeal world was material, and while the goal of occult philosophy was to become more spiritual, the methods employed were frequently very much material. Matter is neither evil nor insignificant, and it played a complex and important role within occult philosophy, in particular those branches influenced by Hermeticism and Neoplatonism, as is evident in the writings of Marsilio Ficino, Cornelius Agrippa, Robert Fludd, and Thomas Vaughan. Nature is seen as a crucial intermediary between God and humanity, with three major aspects: its soul, making Nature a living, thinking being in itself; its body, which is the physical world; and its spirit, which joins soul and body. 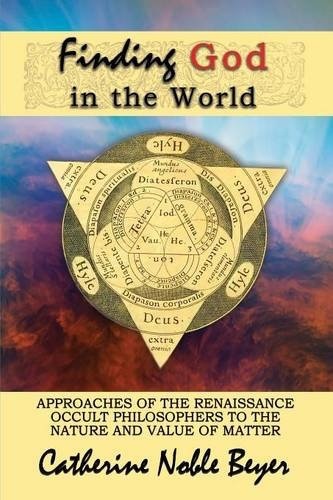 Finding God in the World: Approaches of the Renaissance Occult Philosophers to the Nature and Value of Matter started as the award-winning thesis of the author Catherine Noble Beyer. It is a masterpiece combining excellent scholarship with eloquent and engaging insight. Catherine Noble Beyer received her BA from Kalamazoo College and her MA from the University of Wisconsin, both in history. Her focus has been medieval Europe, but her studies have covered a wide variety of topics. History and religion have remained important aspects of her life. She has taught in the University of Wisconsin system for several years about religion, the history of Western Civilization, and Western Humanities.